1. There is already a surfeit of growth proposed for Western Queens, for those with their heads in the sand or residing in Manhattan or Brooklyn – Long Island City is the fastest growing neighborhood in America. Worse, NYC as a whole is bursting at the seems and those in charge prefer new growth to fixing the current problems – which very may well be intractable and almost definitely will be made worse by densification. At what point do the decision makers make the connection between the future cost of all this growth and the quality of life for the average New Yorker? 2. We could not have been more correct with our back-of-the-envelope projection of the greatly understated cost of the BQX Connector when it was initially proposed. Thus I will use that shred of financial credibility to reiterate my belief that the Sunnyside Yards project has the potential to be NYC’s version of the Big Dig. The financial projections put forth by the city or any consultants it remunerates for affirming them are meaningless. For evidence of this look at the Hunters Point library. Most irksome in a project of this cost, scope, and horizon, is that there will be zero accountability for those who promote it. They’ll be long gone if the two grave problems I envision come to fruition. //THE Arc in Dutch Kills has announced they have fully leased their 428 units in ten months just as The Alta, a 43-story tower about two blocks away, starts leasing out its units. 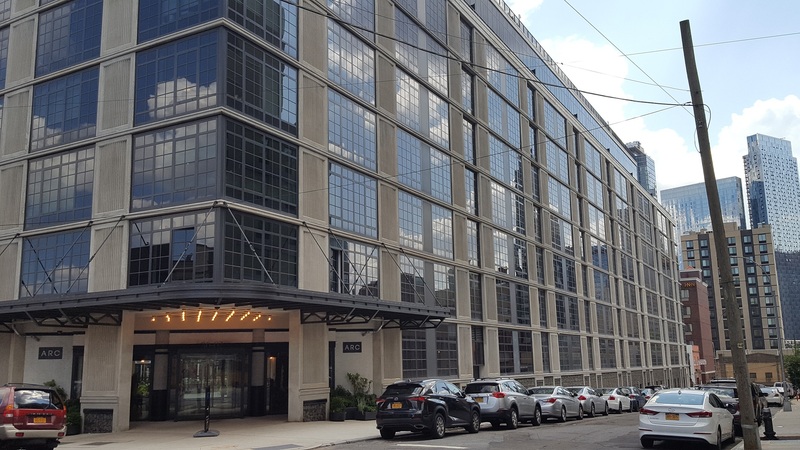 Outdoor Space is the Key to Luxury Says Architect of big Luxury LIC Condo Project –MG: What area do you think is the next hub for luxury properties? EC: There are a few. Long Island City is one of them. MoMA PS1 Warm Up Design Collection Is of Your Dreams – like Borats one-piece?